Q: How do you clean your foot basins? ​Q: Do you have a Membership Plan? A: Yes. Our Membership Plan offers "weekly" or "bi-weekly" services to residents residing in the following cities in North Carolina: Cary, Raleigh, Garner and Wake Forest. The reason we offer the Membership to the following areas only is because our services, at this time, are strictly mobile and the neighboring cities mentioned are more centrally located to our base location, which is in Raleigh. In addition, we have waived our customary travel fee for clients who purchase our Membership plan. In order to save cost and mileage due to the "perks" of our Membership Packages we have to restrict travel areas. Our services are still available for residents across the entire state of NC; it is just our "Membership" enrollment that has restrictions in regards to travel coverage area. Members of the same household can share services included in the Monthly Membership program. Q: What should I expect on the day of my appointment? A: When your appointment has been reserved and confirmed, you will receive a phone call approximately 2-hours prior to your scheduled appointment time. We call the client to ensure that someone is available. Your service provider will not proceed to come to your residence unless there is confirmation that someone is home. We value our time and the effort it takes to prepare for your appointment and a confirmation phone call helps our service providers to ensure that their time is appropriately reserved. Q: What happens if I need to cancel my appointment? A: If you should need to cancel an appointment, we do require at least a 24-hour advance notice. Deposits for pre-arranged service appointments are non-refundable due to cancellation. Q: Are all the service providers licensed? A: We use brand products and also incorporate natural and organic moisturizing cremes and foot scrubs into our services. We use products from our very own product line. 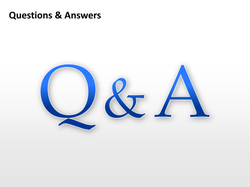 A: Services will be billed through Paypal or Square with an invoice or paid with Credit Card, Cash or Check directly. Q: How much advance notice is required to book a mobile appointment? A: We typically require at least a 48 hour lead notice of an appointment request. Same day appointments may be available. Call for inquiries. Q: How do you set your service up? A: We conveniently bring the tools of the trade with us to your location. We store all of our items in the "Buff-n-Go" which extends out to a manicure station and includes a pedicure storage. 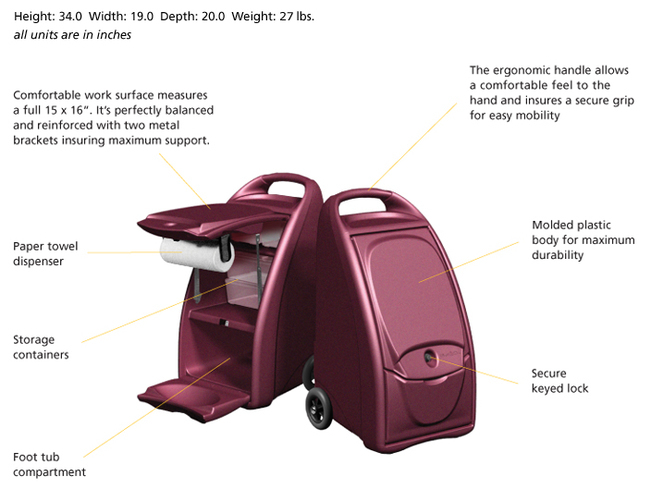 This handy portable pull cart looks great and is durable. Our Clients are always impressed with our portable unit. Below is a picture showing the Buff-N-Go and all it's compartments.